Rated 5 out of 5 by Jem_Jerrica_Guy from They say to tell time traveling, it needs to be as good as "Back to the Future". And this does it. We travel back and forth through time, each adventure task explained well. For a Non-Collector's game, this is worth the money. You get your time's worth. There's even voiceover! Rated 5 out of 5 by goldfish23 from HOGs With A Plot, Well Worth The Time The icon for this game does not begin to show the depth of wonderful graphics, sound, and music. Every bit of this game made it worthwhile. The believable story-line and audio interludes make you want to read the exciting dialog and use the journal. A map is provided which shows pictures of your locations and your position. No HO hint-view, and Hint recharges slowly, but this gives you time to read the Journal and enjoy the game when you're stuck. The game ends with the protagonist leaving in Blade Runner auto. Great ending and worth waiting through the credits for the villain to reappear with the threat of a sequel. Worth playing again and not too short. Rated 5 out of 5 by Firehorse66 from Great game The graphics were decent but too dark sometimes. I enjoyed it's originality, the puzzles and length of play was excellent for a none CE. Definitely worth it! Fun game. Rated 5 out of 5 by RichardIII from A real bargain and an EXCELLENT game! Terrific graphics, challenging puzzles, excellent story line and plenty long enough. I highly recommend this game. As usual I play on the harder level and without music so my review does not include it. Very, very good game for the price or even more. I could find nothing negative about it at all. Rated 5 out of 5 by netnanna from So re-playable!! I have just completed this game for the second time, and it was just as enjoyable. A game full of things to do, helpful hints and great puzzles. Wonderful story, really drove me along eager to find the final result. Music was unobtrusive and graphics were clear. All in all, a must buy!! Rated 5 out of 5 by FamilyDad1 from Best Ever!! 10 out of 10! Incredible game. All of the elements that make a great game are all 10's! I mean it. The storyline is the best I've ever seen in a game. For taking place in a fantasy world, it makes total sense & is believable within the context of the game. The historical factor is very cool too. The graphics are second to none. They are full & detailed, without being cluttered. The details are rich & vibrant. The locations were always fun, interesting and full of things to explore. Objectives were clear, and due to the incredible locations, navigation was always easy. You never had those dreaded moments where you didn't know where to go, or what to do next. It was just the opposite. The inventory was perfectly balanced. It was always full, but you never really had to scroll to locate forgotten objects. Therefore, the game gave you choices and was not linear. The objects were always logical as to their usage. The best part for me was that the HINT button contained a hologram of Tesla himself, who would pop out from time to time and speak to you. I absolutely LOVE games that contain other human beings as it keeps you from getting that lonely feeling of solitude (as with MYST). Which by the way contained some "beautiful" Galileo type machines, but in this game, they were never aggravating to figure out. You always knew what to do, or if not, then the game provided the help you needed not too far away. The game also featured frequent animations and voice-overs which always served to move the game along. The Time Travel parts of the game were fun, never knowing where you were going to end up. The animations were even cool, because it didn't torture you with an endless Dr. Who tunnel, instead it was just a brief animation (appropriate blue tunnel lol) and in a flash, there you were in another time in history - Excellent! The HOGs were great too. Just the right amount & frequency with pretty easy to find objects of fair size, not too dark, and with no punishments for missed clicks. Plus the HINT timer recharged pretty quickly. The puzzles were great too. Again, just the right amount, not too difficult, a couple of new ones thrown in & appeared at all the right times and places. Lastly, the length of the game was terrific! Just when I thought it was about to end, boom, you would travel to another time and place. So cool. Overall, this game was an absolutely pleasure to play. It lived up to (or for me Exceeded) its genre of "Adventure game", meaning playing it was like going on an actual adventure. Literally EVERYTHING about the game was top notch. And the game never, ever tried your nerves, not even once. A complete and total joy to play. I really hope the developers make many more like this. Oh, and the end credits suggested we may not have seen the last of Tesla. Let's hope not. Rated 5 out of 5 by shreksma from Best Game Ever This is the best game in over 100 that I've purchased from Big Fish. It was quality fun from start to finish. A unique story with not too many HOG scenes. Colourful and highly interesting all the way through, and this game just kept going and going. One of the longest games ever. Best value for money... I would have given it 10 stars !!! Rated 5 out of 5 by zorabelle from Great Game and Good Story This is a nice unique game that will not need a walkthrough.It is nicely managed and the graphics are good but not great.There was too much dialogue for me and some annoying sounds also. Overall,the gameplay was fun and interesting and included time travel.I did not enjoy the frustrating mini-games and am glad to have been able to skip quite a few.This was a good long game .. Rated 5 out of 5 by sct1968 from Very good game.worth the time and money. I loved so many things about this game.The story made sense and the graphics were very good. the hint system was helpful. i did skip 2 puzzles though. i just wasnt up to figuring them out. easy hidden picture scenes. i have over 400 games and this will be about the 6th i've finished. I liked every aspect of this game. i've seen people say they get tired of looking for the same old hidden object items. well in one of the scenes you are asked to find the enema. (that's a first) lol very enjoyable game.check the walk through here at BFG if you get stuck. Rated 5 out of 5 by Agent_Ciuffy from Scientists can be sensitive and fun!!! As a Phd Student in physics...I really find this game close to my soul. The storyline is so close to reality of this days...when science is good only if you invent something that brings the money from others. I didn't mind that Tesla ghost speaks with you all the time, but the graphic and design I think it can be improved. I find the mini-games very interesting and challenging. 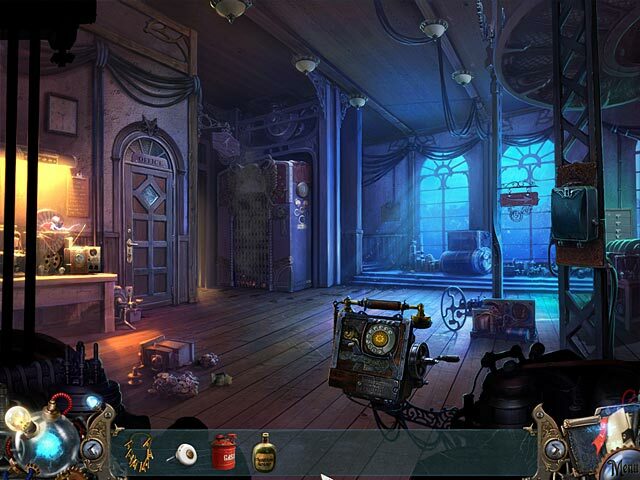 The hidden objects scenes are pretty hard, but not so challenging and interesting as I expected. A more funny and interesting sounds can make this an A+ game for sure! Bur any way....I am so happy to finally play a game from my domain, without all those zombies, crimes, and mental illness. Thank you for make it different and special !! Best regards! Have fun ! Rated 5 out of 5 by Sergeij from THIS IS IT! THERE ARE NO MORE WORLDS TO CONQUER! 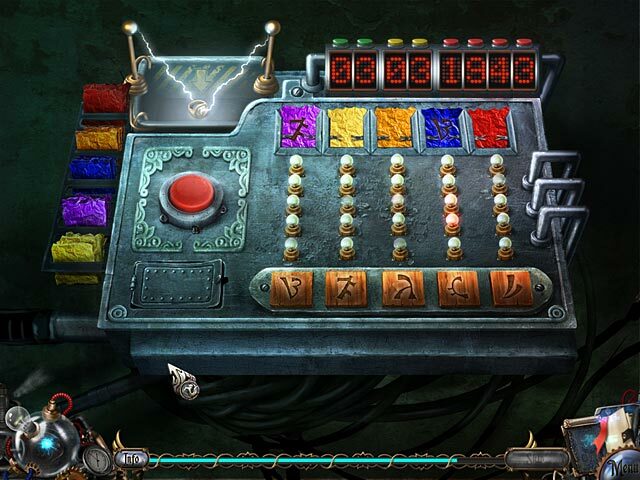 I usually play ONLY the large format games just to avoid the irritating and very frequent HOGs found in most mysteries. However, and, to my great delight, I found a game -- THIS ONE -- with just a handful of HO scenes thrown into the mix. This made for a charming, witty, clever, and sometimes enchanting adventure story, replete with sci-fi novelties of all sorts -- time travel -- an archvillain -- and a very happy ending, and, you really DON'T need a walkthrough, as M'sieur Tesla, "caught up in the ether" gives a hint every so often. All in all, this was the best HOG game I have played if only because there were so few HOs. Rated 5 out of 5 by zbatz7 from 5 star success HOG I can't find anything to criticize on this game! This was issued as a regular game, but its length of time to complete the game extends beyond some of the collectors editions. Well done!!! Worth the time and effort to play. I hope this developer has more games coming! Rated 5 out of 5 by Larkin1212 from Real History I really enjoyed this game. Beautiful graphics which is a must for games I purchase. There was a lot of talking but not so much I was annoyed since you can read it yourself and speed it up by clicking on it. I was so into the story I actually looked up information on Nikola Tesla and read his history. He was a very interesting person with a world changing invention. Rated 5 out of 5 by jcsgame from Excellent Game with a Different Story Thoroughly enjoyed playing the game. There was plenty to do: Hidden Object scenes, Finding objects and using them, Adventure and Puzzles; lots of variety. The game made you think about what to do and when to do it. Excellent "Hint" system and very clear graphics. Looking forward to more games of this type. Rated 5 out of 5 by Tigermittens from Great game! Loved this game, will play again. Great storyline, good graphics, puzzles were right amount of difficulty without being irritatingly hard. It was logical. Wish there were more like this one. Using the right tool for the job makes gameplay easier, instead of using guesswork or chance to figure what breaks open a lock or cut a wire. Rated 5 out of 5 by murphy_zoo15 from Original storyline a winner! This was the most enjoyable game I have played in a few months. The best thing about it was the story--a scientist has discovered a way to harness free energy, but something went terribly wrong and now the world has irrevocably been altered. Through the past a voice comes through--your long, lost relative who has the answers to the problems. You are desperately needed to put the myriad pieces of the disaster in order. Great game length, lots of different scenes, good mixture of HOS and puzzles. Hints were pretty good. The only negative was some of the puzzles were confusing--not enough direction on what to do for a few of them. 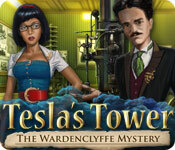 Rated 5 out of 5 by the3rdparty from Loved Tesla's Tower This was a very creative and fun game. It was challenging and a bit 'mechanical' -- it was gratifying to be able to figure out the various mechanisms (and conversely to not feel bad when I had to use the Skip because I don't have a lot of patience). Rated 5 out of 5 by Bc1954 from Loved this One! I loved this game. I especially liked the different places it went to play the game. It kept my interest all the way to the end. Hope there is a sequel. Rated 5 out of 5 by sphinxvictorian from Well written fun adventure. For once, this game not only had entertaining puzzles and HOGs, but held together as a story. The background was fun, the style of the world was attractive, the pacing was good, and I very much enjoyed the English translation's characterization of the point-of-view heroine and her mentor, Tesla. There were one or two very minor typos but otherwise I had no complaints. And I liked the cat, too. Rated 5 out of 5 by aowyn from Loved it! I really enjoyed this game! I loved the storyline. Imaginative, scientific, pseudo-history. The puzzles were different, I really liked the refreshing change. Some HOGs, clearly drawn. I really like the games that have good storylines and draw me in, this game did exactly that! Great graphics, sound. I recommend this game! Rated 5 out of 5 by Katysmom1 from Tesla was Terrific! This game was great. Very good storyline. Games were challenging. The visual was beautiful. Rated 5 out of 5 by zandu2 from Done With Style To me the game was very ejoyable. Action all the way through. Quite long too. The mini games veried, some easy some hard. The voice over was excelent. The music okay. The HOS can be a could have been done a little easier, but i guess it would be great for some one who especially enjoys a challenge. Love the story it was great; and nicely put together. Definately a good buy. Rated 5 out of 5 by Bigfishgamelvr from One of the Best! Finally!! A game with NO blood and guts! How refreshing! This game is absolutely one of the best I have found so far. It has a great storyline, it doesn't play out in 1 hour, and the music is very relaxing. This is an all around wonderful game. I highly recommend it!!! Rated 5 out of 5 by chaka4 from Give it a try! i don't normally write reviews, but I liked this game so much I felt compelled to do so. When I read the reviews about too much dialogue I almost bypassed it as I don't like excessive dialogue or reading myself. However I am a science girl by nature and I am intrigued with Tesla and free energy. I decided to give the free trial a shot and I was really glad I did. I did not find the dialogue overly irritating and the references to the engineering and mechanics did not bore me at all. In fact I was so engrossed in the game I stayed up until 2:30 a.m to play! So my conclusion is that while this kind of storyline may appeal to eveyone, if you like science and you like this kind of topic and you like mecanical side of things, give it a shot. I'm glad I did! To the developers: I would LOVE to see a sequel!!! Rated 5 out of 5 by shanyem from I really enjoyed this game! I have to admit, I had my doubts when I first started but I found that I really enjoyed playing this game! I thought the HOS were clear and the puzzles a good variety of difficulty. Voice overs were fine as was the music - neither of which I really pay much attention to. The storyline was interesting and I didn't feel there was much 'back and forth' to find items. The hint button was 'free' if you had to move from place to place only. For a regular game #not CE# this game was well worth the price in gameplay as well as length. Have fun! 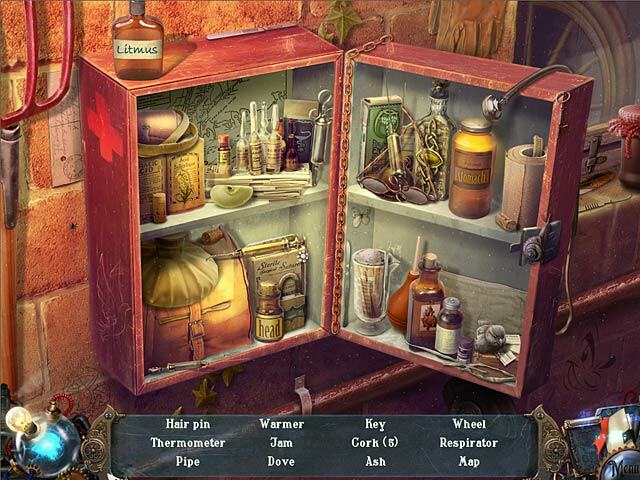 Rated 5 out of 5 by RayMarie1942 from I love Hidden Object Games keeps U on U're toes. Full of Mystery , Challenge & Fun. Love the Sound & the Storyline. Nice Game for my Grandkids to Play & enjoy.